The world of chair covers is a bit of a minefield. Do you opt for the stretchy kind, that are meant to fit almost any chair? Or do you pick a custom fit, linen style that doesn’t need to be fixed under the feet of the chair to secure them? This guide will hopefully help you dodge some bullets in the crazy world of chair coverings. These are the stretchy ‘one size fits all’ covers. What you need to look into when picking your style of cover is the actual chair you’re covering. Size is important to the fit of the Spandex cover. Despite them stretching to any size, attention should be paid to how they actually fit your Venue’s chairs. By this, I mean is there a ‘slope’ formed between the back of the chair & the seat? More common on a chair with a high back, this happens when the Spandex cover is stretched to its maximum, over-extending the cover. 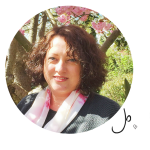 It can be uncomfortable for your guests to sit on as the ‘slope’ pushes them forward. There’s also a greater risk of the covers springing from the feet of the chair when they’re moved. Other problems arise when the spandex covers are too big for the chairs if the Venue has a smaller style of chair. Being too big can be due to the covers being over stretched previously on larger chairs, as mentioned before. If there isn’t enough chair to stretch the cover properly, the covers can resemble Nora Batty’s stockings, not a pretty sight! As the name suggests, these covers are made from a mix of fabrics, & hang to the floor, meaning they don’t need to be attached to the feet of the chair. These covers have a more luxurious look, as they are thicker material than their Spandex cousins, which means the colour of the chairs padding is disguised better. I don’t know why, but lots of venues do tend to have chairs with horrendous patterns on them, which can be visible through thinner cloth. 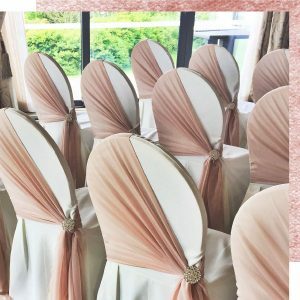 This type of cover is better if made to measure for the chairs at your venue, so be sure to ask your cover supplier if they are a custom fit. The Linen style covers form a perfect backdrop to any style of sash dressings. 3. No covers at all? 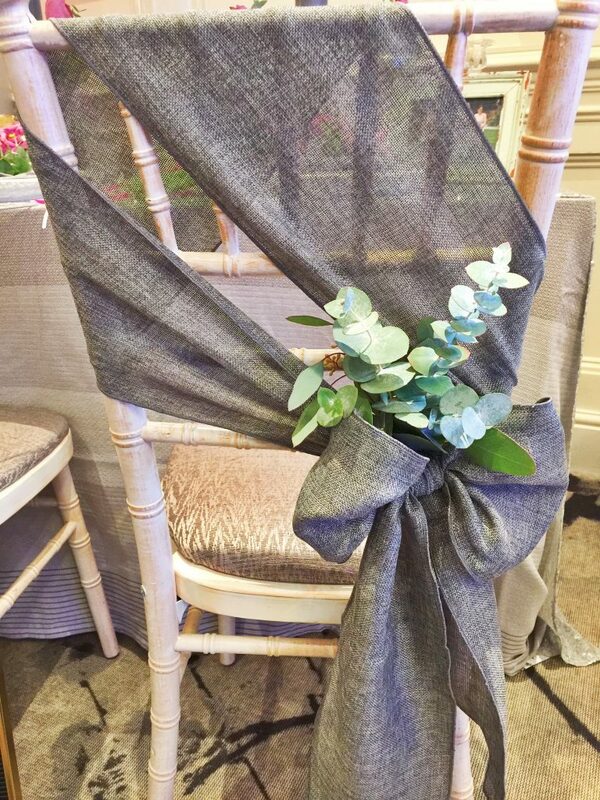 If you’re lucky, your Venue will have chairs that look fabulous & don’t need covering at all. Yippee! This chair style is usually the lovely ‘Chivari’ or ‘Cheltenham’ style, which can come in a range of colours. 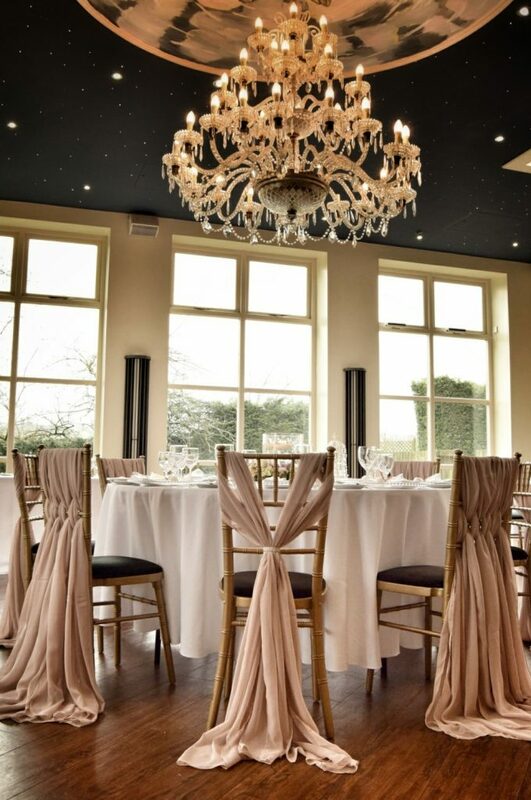 Or if your Venue is one of the upcoming ‘Urban Chic’ type of places, the chairs may be more of an eclectic mix. These chairs don’t need covering at all, unless you really aren’t a fan of them, or the seat pad colour clashes badly with your theme. 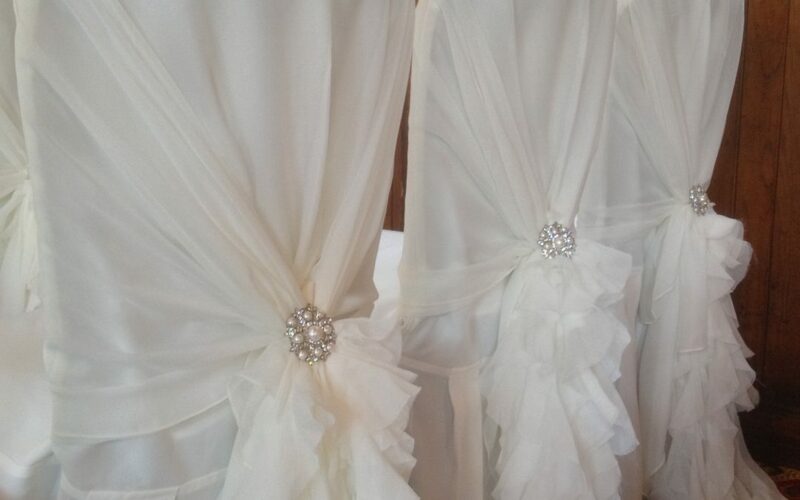 However, you can make them look more of a styling point of your room, by having them ‘dressed’ with sashes. This is ideal for adding your colour to the room & for softening the chairs a little too. I’m often asked ‘how do you tie bows like that?’ The answer is simple….. practice, & lots of it! 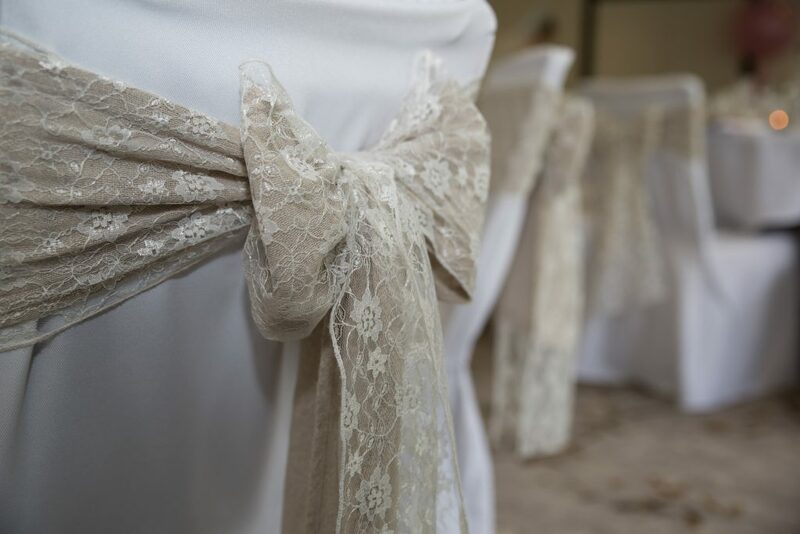 Over the past 6 years, which was when we added the chair dressing service to our business, we’ve tied thousands of sashes in lots of different ways. Our service stands out from others in how we design the look of the chair dressings. From unusual bow styles to multiple sashes, the options are endless. 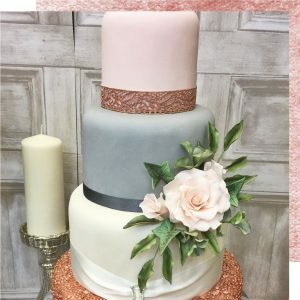 We love to use buckles & brooches to add points of interest, textures & a hint of opulence to our dressings, creating a wow factor as your guests enter your Ceremony or Wedding Breakfast room. One last piece of advice. 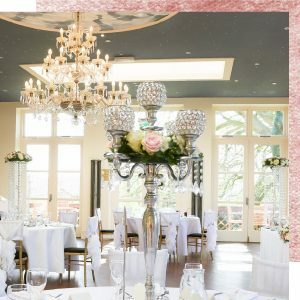 The old adage ‘if it’s too good to be true, it probably is’ is true in most cases, but especially when it comes to Weddings. 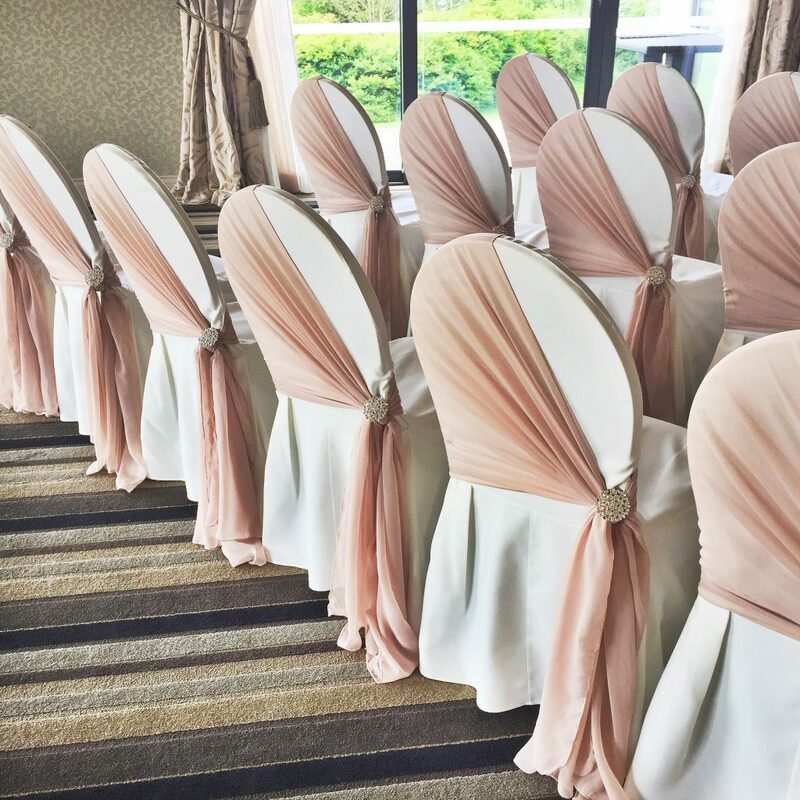 If you’re asking a company about chair covers & their cost is a lot lower than other companies, ask the cheaper company what sort of cover you get for that price. Is it Spandex or a ‘proper’ cover? You will find companies will tell you they have covers to fit the chairs at your venue, but won’t tell you they’re Spandex, unless you ask. It’s too late to correct that mistake when you discover this on the day of your wedding. You only get one chance to impress your guests, & if your socks aren’t knocked off, theirs won’t be either! If you’re interested in more information about our chair dressing service, or any of our other services too, we offer an exemplary service for a very reasonable price so please feel free to contact us in the contact form below or take a look at our portfolio for some ideas by clicking here. 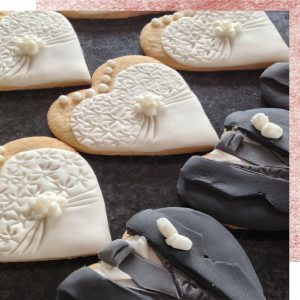 We are Jo & Pete, the husband and wife team behind Iced & Spliced by Cakey Wakey and our passion is weddings! 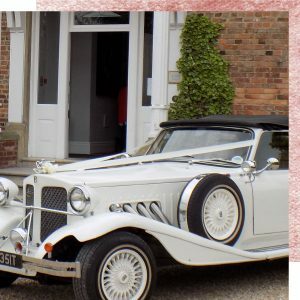 We love helping our couples to create their dream wedding by working with them to design and bring their vision to life, using our 20 plus years of experience in the industry to provide the friendly guidance and support that our brides find really valuable. We would love to work with you, get in touch if you want a chat.